A gorgeous example of fine Indian craftsmanship, this purple 6 panel large cupboard offers a beautiful way to store all of your large items. 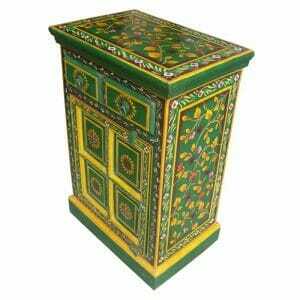 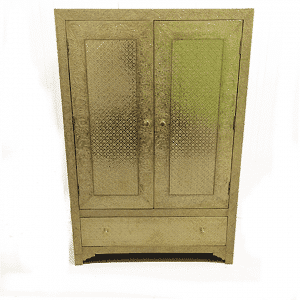 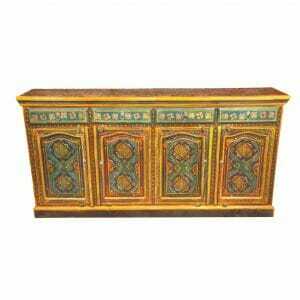 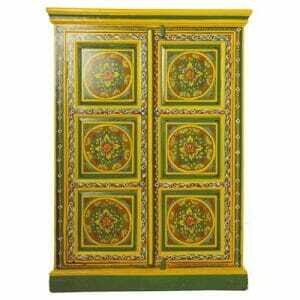 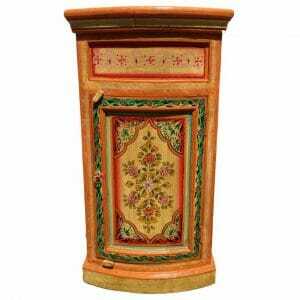 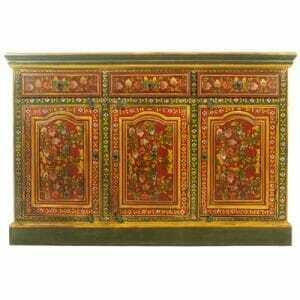 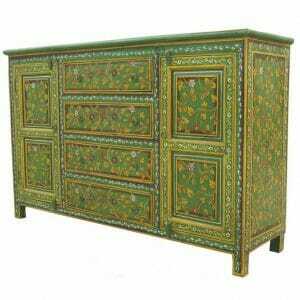 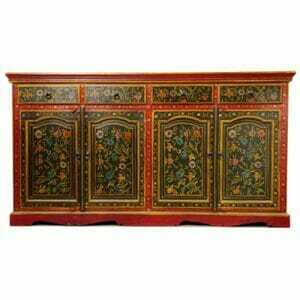 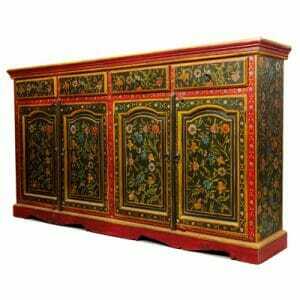 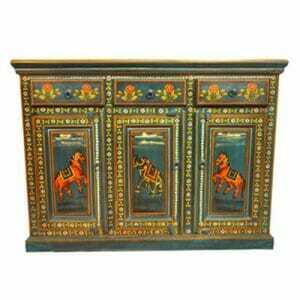 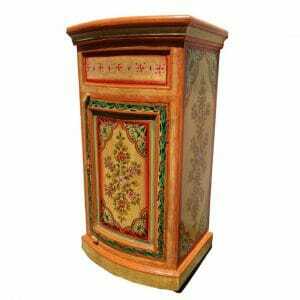 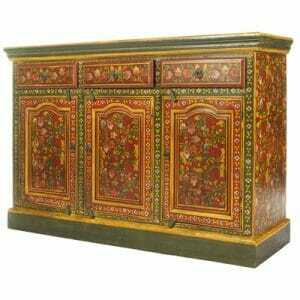 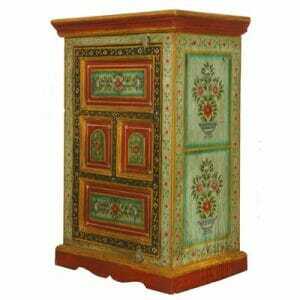 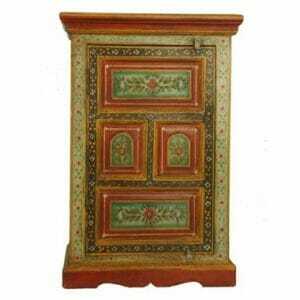 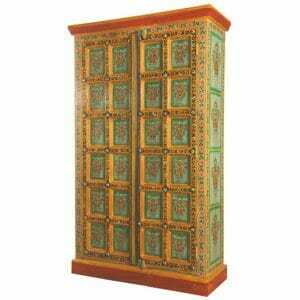 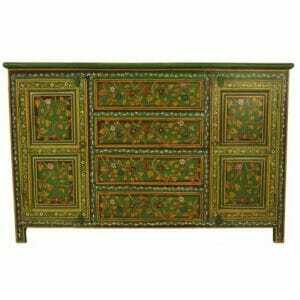 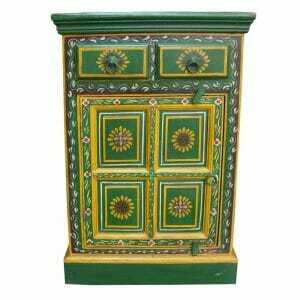 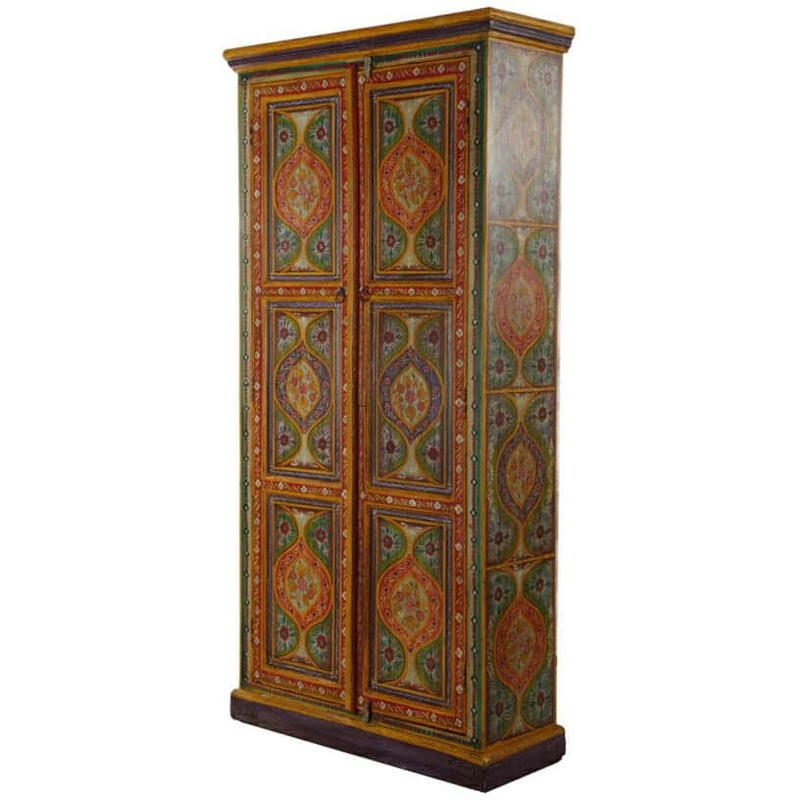 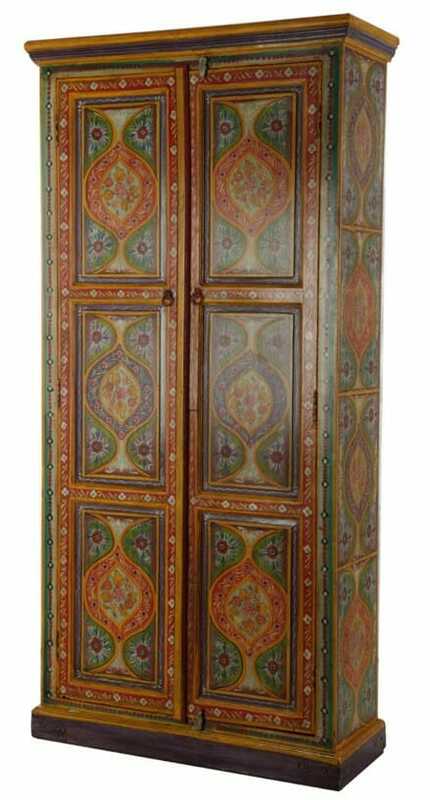 Decorated in rich hues of purples, reds, greens and yellows and painted with traditional Indian floral patterns, this elegant painted cupboard is as durable as it is beautiful, and will be enjoyed by your family for many generations. 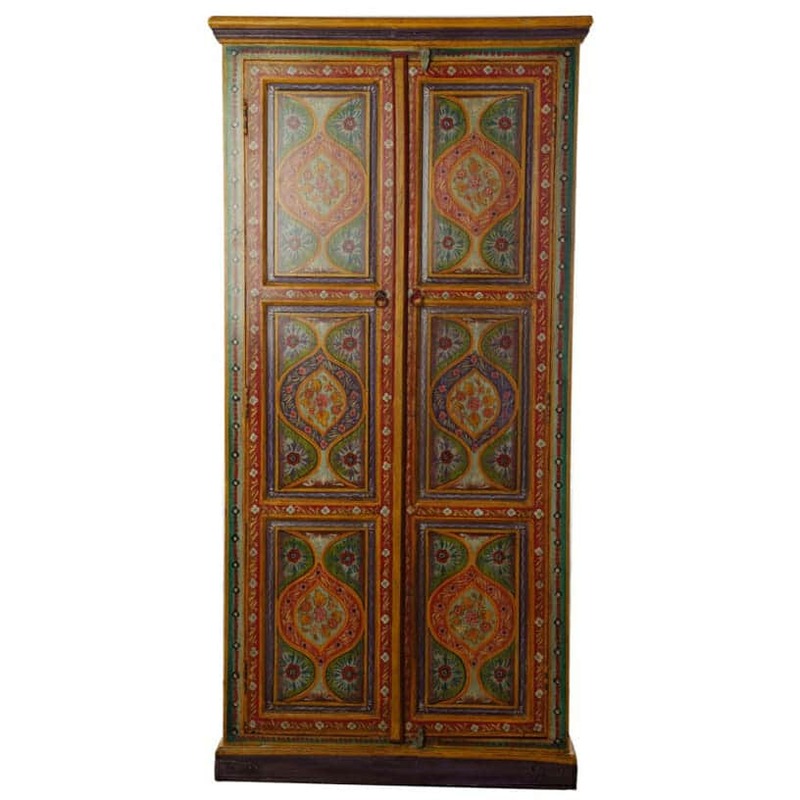 This exquisite Indian cupboard has been hand crafted and painted by our traditional Indian woodworkers, many of whom are so sought out for their talent that they are regularly commissioned by royalty to produce beautiful furniture like the piece you see before you. 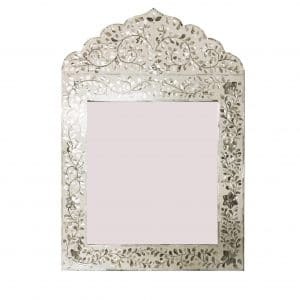 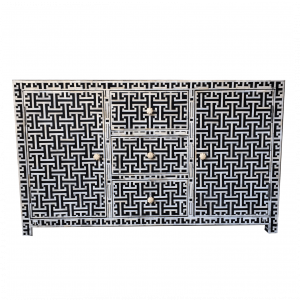 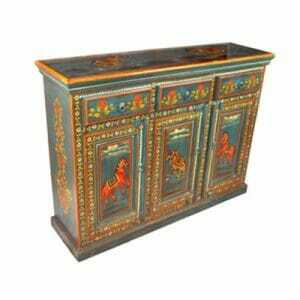 By purchasing this piece, you are bringing into your home a true work of art and an authentic part of this centuries-old Indian tradition. 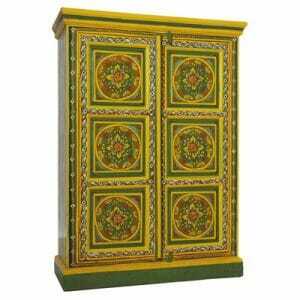 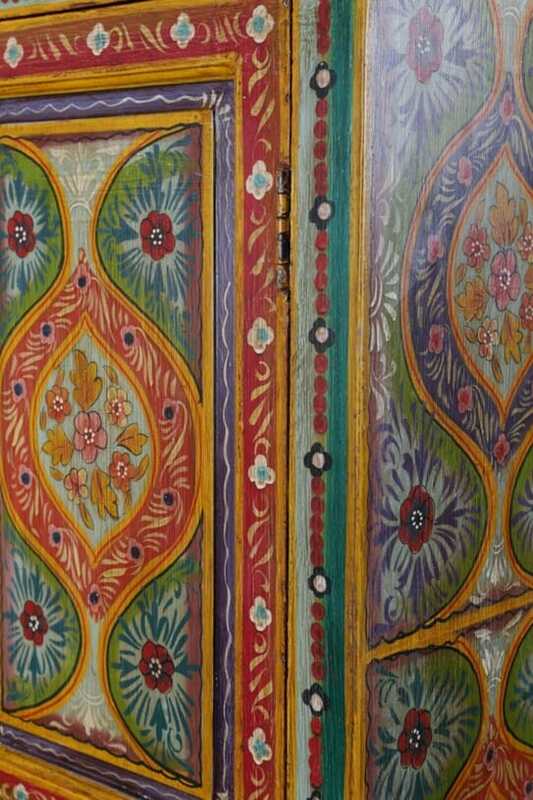 Our gorgeous six panel cupboard is only one of a wide range of beautiful Indian hand-painted furniture items that we have for sale at our showroom. 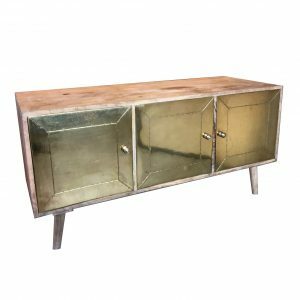 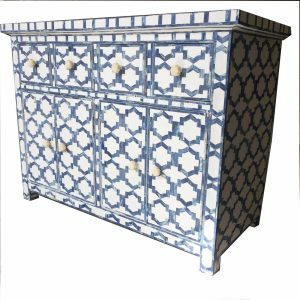 However, if you haven’t yet found the exact piece you’re looking for, or would like to order this piece in a particular colour scheme or size, simply let us know. 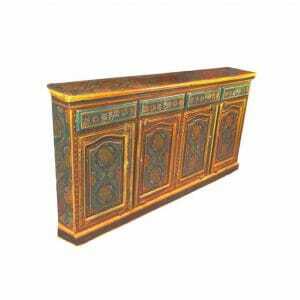 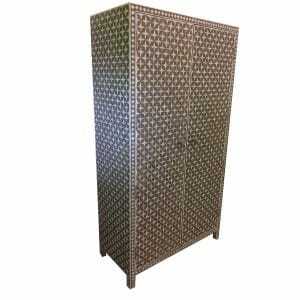 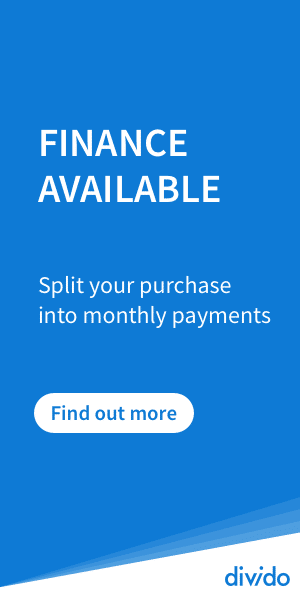 We regularly place bespoke orders for our customers to ensure they receive the precise item they want in their home. 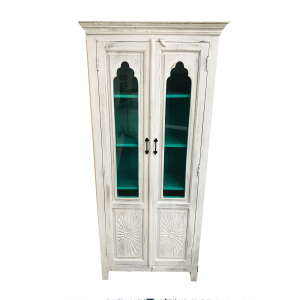 All of the wood used in the making of this cupboard is sustainably farmed as part of our commitment to the planet and to the well-being of our craftsmen. 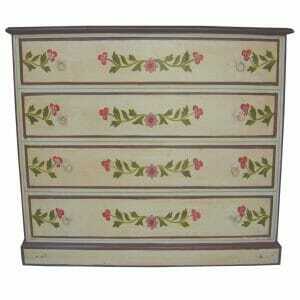 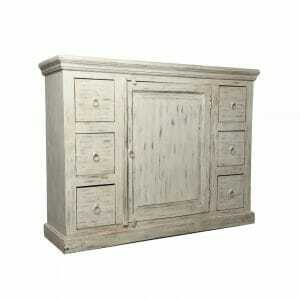 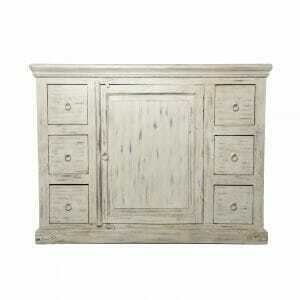 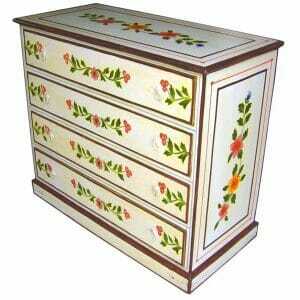 We ensure that all of our furniture is both ethically and sustainably sourced.